The new feature uses AI to automatically blur the background in a Skype video call, thereby keeping the focus of the call on the user. Microsoft adds new ‘background blur’ feature to Skype. The feature uses AI to blur the background in a video call. The feature is available on most desktops and laptops with the latest version of Skype. 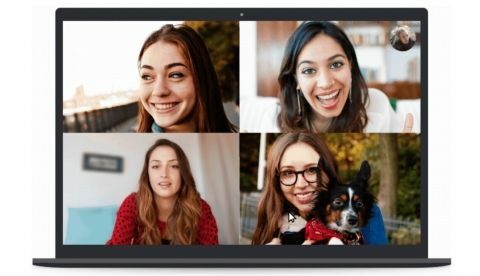 Microsoft has announced that it is bringing a new ‘background blur’ feature to Skype. As the name would suggest, the feature aims to automatically blur the background in a Skype call, and keep the user in focus. “With a simple toggle, right-click, or even through your Skype settings, your background will be instantly and subtly blurred, leaving just you as the only focal point,” the company notes in its official blog. Microsoft notes that the background blue feature uses artificial intelligence that is trained in human form detection. Further, it is able to detect the user’s hair, hands and arms as well. The feature is available on most desktops and laptops with the latest version of Skype. In order to turn it on, user’s can hover over the video button in order to bring up more options, including the option to toggle the feature on or off. Back in August, Microsoft rolled out end-to-end encrypted Private Conversations on Skype on iOS, Android, Linux, Mac and Windows Desktop. The feature was being tested for eight months before finally rolling out to users. The new features aims to keep conversations hidden in both the chat list and notifications. In order to use the feature, users have to select ‘New Private Conversation’ from the ‘Compose’ menu or by tapping the recipient’s profile. Once a new Private Conversation is initiated, the recipient will receive an invite. When the recipient accepts it, all calls and messages in that specific conversation will be end-to-end encrypted.